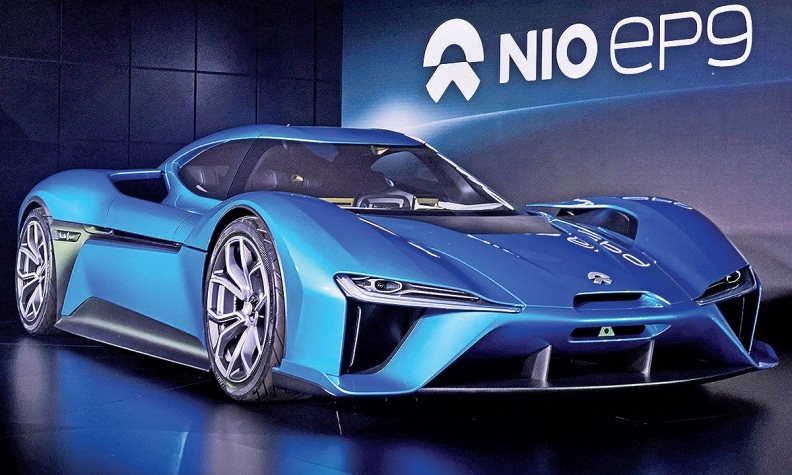 The EP9 supercar is the first road car from NextEV's NIO brand. Also in the works: a rival to Tesla's Model X.
LONDON -- Chinese electric vehicle specialist NextEV will target the U.S as the first foreign market for its SUV rival to the Tesla Model X, NextEV co-founder Jack Cheng said at the launch of the company's first road car. NextEV built up its EV knowledge in the Formula E electric-vehicle race series. It now plans to sell road cars under the NIO brand. The first is the EP9, a 1,342-hp electric two-seat supercar that costs $1.2 million to build. Senior design director David Hilton described it as a "bridge" between the company's race cars and the upcoming SUV, due late next year. "The idea wasn't practicality but to bust records and look fantastic," Hilton said at the EP9's November launch here. The EP9 has a top speed of 313 kph (195 mph) and a range of 427 km (265 miles). It accelerates from 0-200kph in 7.1 seconds, making it the world's fastest electric car, NextEV claims. The SUV will have a 70 kilowatt-hour battery pack for a range of 531 km (330 miles), rated on the more generous European cycle, Cheng said. He described the performance as being "as good as or better than the Tesla [Model X] but cheaper." "It will be positioned at Audi and BMW but with a Toyota price," Cheng said. U.S. sales will start in late 2018 or in the beginning of 2019, he said. Next EV did not give a date for the SUV's European launch, saying only it will come after the U.S. introduction. NextEV is the brainchild of William Li, who made his fortune partly through an online portal providing up-to-date prices to car dealers in China. He plans to make a success of NIO by providing excellent customer service, something he said Tesla has failed to do in China. "I have a Tesla. It me took three months to install a charger at home," he told journalists at the London launch. The SUV will be built in China in partnership with Chinese automaker JAC Motors. NextEV had employed former Ford of Europe President Martin Leach as its co-president before he died in November.